Encinitas, situated in North San Diego County, is located approximately 25 miles north of downtown San Diego. Small communities exist within Encinitas including: Leucadia, new Encinitas (Village Park), Cardiff, and Olivenhain. Encinitas has 6 miles of coastline and provides surfers with a number of surf breaks to choose from. 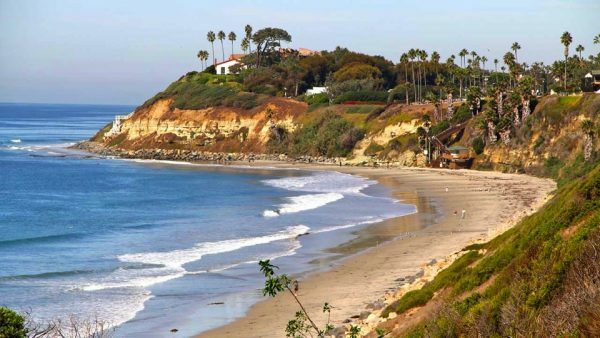 The most popular beach would have to be Moonlight Beach, which families tend to favor because of the public fire pits, lifeguard station, public restrooms, and easy access. There are about 58,000 living in Encinitas, making it one of the larger communities in North San Diego County. 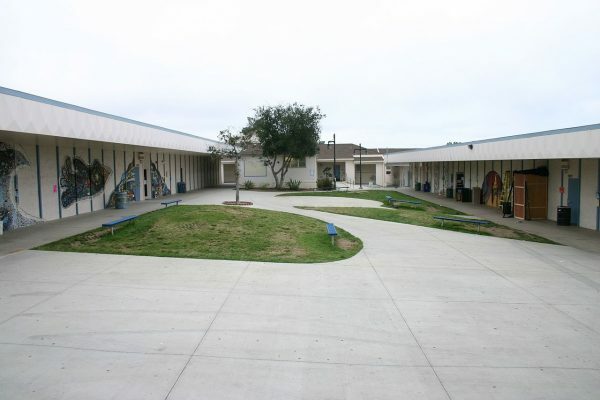 There are over 10 elementary schools in Encinitas, but two main middle schools and two main high schools. These include San Dieguito Academy, La Costa Canyon High School, Oak Crest Middle School, and Diegueno Middle School. 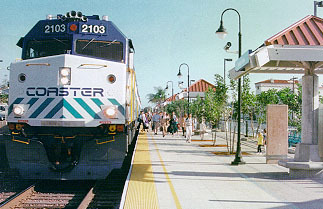 Encinitas is bordered on the South by Solana Beach and to the North by Carlsbad. Major access routes to and from Encinitas include the 5 freeway exiting on Encinitas Blvd or Leucadia Blvd. Also, the Pacific Coast Highway also runs through old Encinitas. The annual Fall Festival, otherwise known as the Poinsettia Festival, is held each November in downtown Encinitas. The WaveCrest Woodie is another festival held on the third Saturday of September at Moonlight State Beach. It is the biggest rally of Wooden bodied vehicles in the world, and it is free to the public. Four points of interest include: The Self Realization Temple and Hermitage, La Paloma Theater, Swamis (a world class surf break featured in The Beach Boys’s hit song Surfin USA, and the San Diego Botanic Garden. In addition, the Magdalena Ecke Family YMCA is home to one of the largest skateboard parks in Southern California and a place world-famous skateboarder Tony Hawk has frequented. With average annual temperatures in the low 70’s, Encinitas is always a great place to be. Whether you like surfing, golf (Encinitas Ranch Golf Course), sunbathing, going out to eat, biking along the coast, yoga, or Kayaking, Encinitas has something for everyone. Home prices in Encinitas vary from multi-million dollar oceanfront estates to small apartments in new Encinitas. This is also the case with neighboring Solana Beach and Del Mar, although prices in Encinitas tend to be a bit lower. It’s easy…Save your searches! Get property updates! Find your dream home! Learn more about this beautiful town!